Sébastien Ogier has claimed his sixth FIA World Rally Championship title and walked away with an Anonimo Militare watch. Mr Ogier has now won every title since 2013 and is just three behind French compatriot Sébastien Loeb, who has won the title nine times. 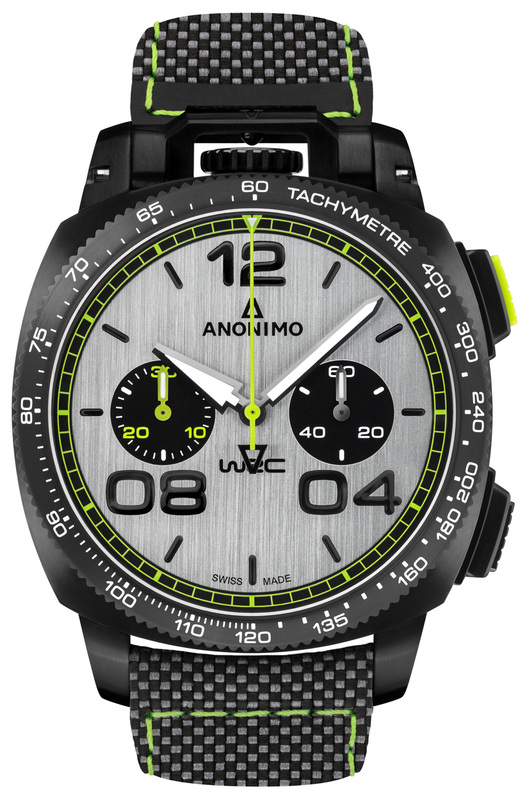 Anonimo has been Official Timekeeper for WRC this season and created a Militare WRC watch as part of its partnership. The Militare watch has its distinctive crown at the top of the 43.4mm steel case, which houses a grey hand-brushed dial with the WRC logo. It houses a Sellita SW300 automatic movement driving hours, minutes, chronograph, 30 minute counter at 9 o’clock and a small-seconds counter at 3 o’clock. The watch is priced at CHF 5250.